Horizon 2020 Work Programme Update: New Topics added for 2017. 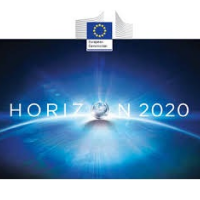 The European Commission today released the second round of funding from the two-year Horizon 2020 work programme announced last October. This update includes support for a range of cross-cutting initiatives in 2017: Industry 2020 in the Circular Economy (€325 million) to develop strong and sustainable economies; Smart and Sustainable Cities (€115 million) to better integrate environmental, transport, energy and digital networks in EU's urban environments; Technologies and standards for automatic driving (over €50 million); and the Internet of Things (€37 million) to foster the take-up of digital technologies in Europe. Moreover it also includes a number of new calls. For example, the new 'Closing the water gap' topic with a budget of €10 million in the 'Greening the economy' call aims to reduce fragmentation of water research and innovation efforts across Europe and contribute to the implementation of the Sustainable Development Goals (SDGs) as well as the conclusions of the COP21 Paris Agreement on climate change. The programme also reacts to topical developments by reinforcing research into migration. In response to the refugee crisis, €11 million will be dedicated to new research to understand migration but also to develop effective policies for managing the influx and integrating migrants in the society and economy.